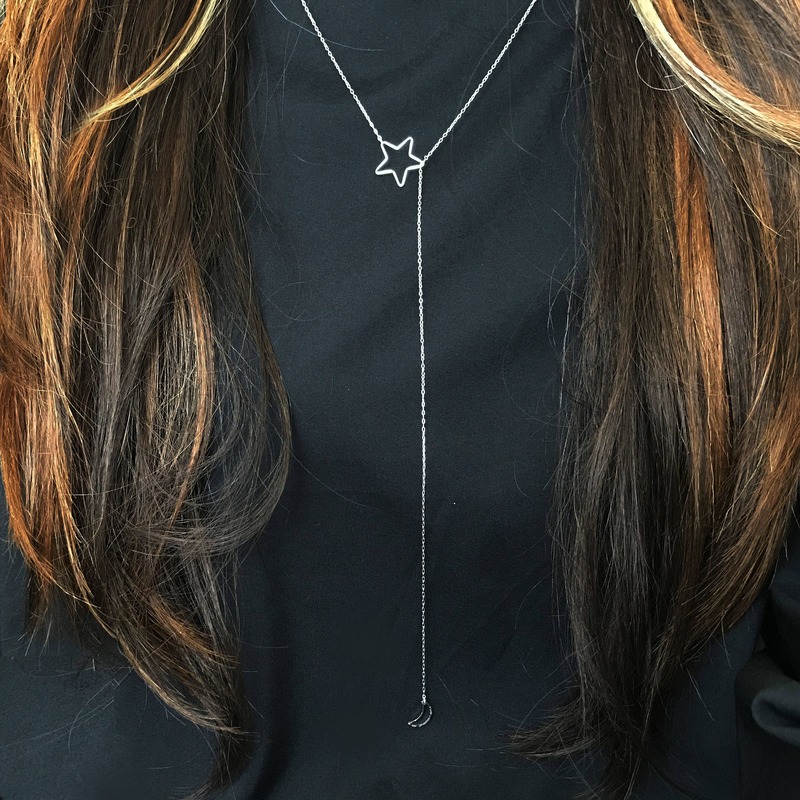 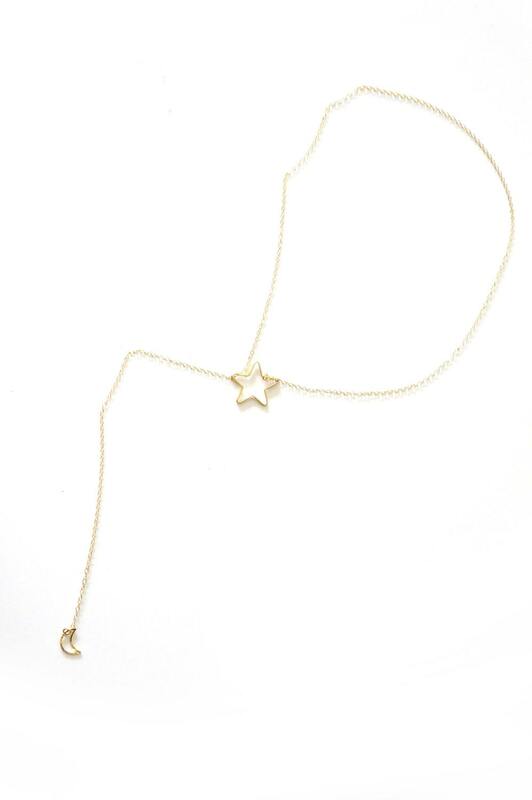 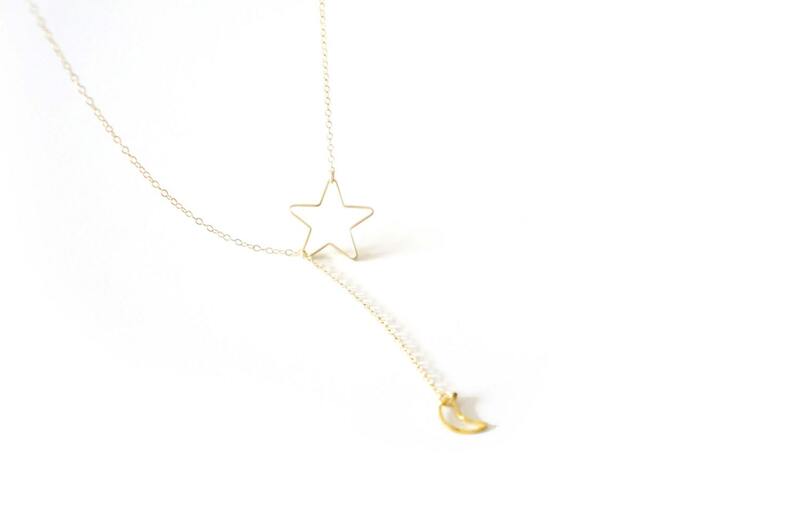 Thin gold chain with simple star and moon. 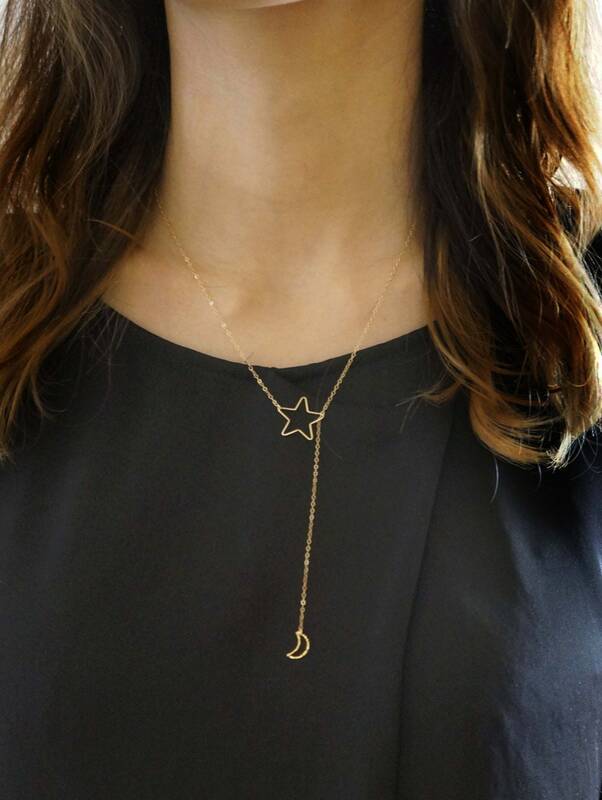 Celestial gold plated charm lend night-sky elegance to a delicate vermeil Y-necklace. 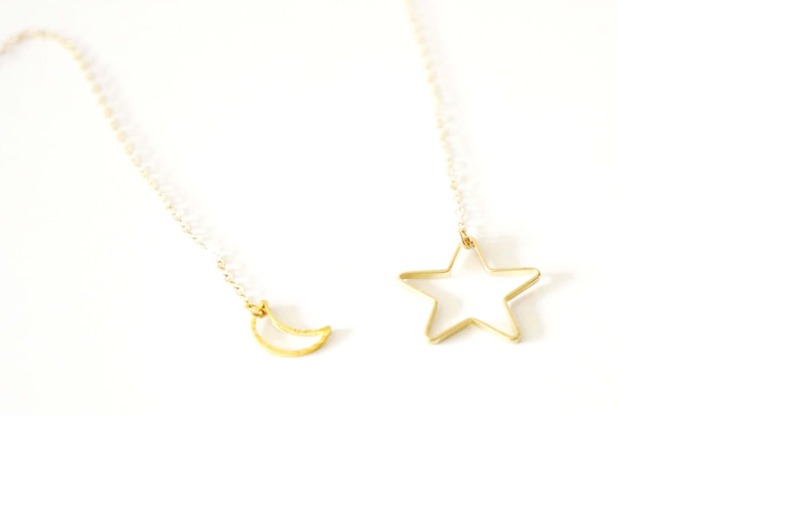 It's awesome!! 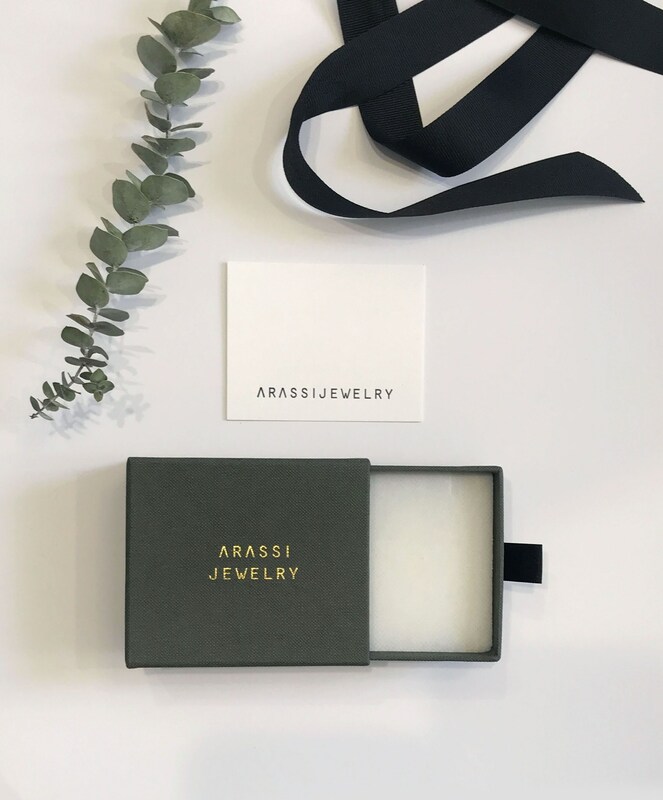 Arrived quickly and handwritten note was nice as well.